If you’re running a dental business, expenses can add up fast – from needing new equipment like x-ray machines to advertising that attracts new clients – and without dental business financing, you could find your business seriously threatened by a broken x-ray machine, insufficient teeth cleaning supplies or inadequate office space. With traditional unsecured small business loans, you’ll find yourself buried in paperwork and waiting months to hear back on your application – which will most likely end in denial. Brick and mortar lenders like banks make it very difficult to qualify for unsecured small business loans – requiring months of great profit statements, good credit, and collateral or liens on your property. This type of dental business financing also has a very low approval rate so chances are you’ll spend a lot of time and effort for nothing. WIth Business Lending Authority’s alternative small business loan program, however, you can qualify for a fast cash advance for your dental business, and have the operating capital you need in as little as 2 days! And we have a 90 percent approval rate. 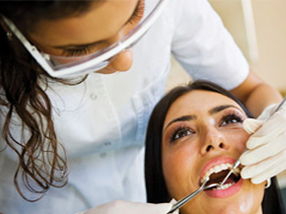 Apply for our dental business financing today by simply filling out the form on the side of this page to get started. Whether you have an emergency expense that comes up – like broken tooth drills – or desperately need to expand your dental office space or do building renovations, with Business Lending Authority’s dental business financing, you can get the operating capital you need to get it done. Our fast cash advances – ranging from $1,000 to $1,000,000, depending on your needs – give you fast, liquid cash to use however you need to for your business. 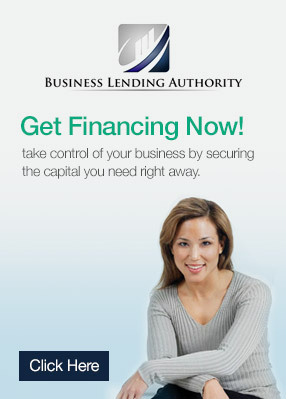 Business Lending Authority places no restrictions on how you use the funds. Apply today for our dental business financing and have the operating capital you need to stay ahead of the game in the competitive dental industry. Simply fill out the form on the side of this page to get started and a Business Lending Authority representative will call you to walk you through the easy steps to complete your small business loan alternative application for dental business financing. A dental practice that has been in operation for at least 6 months. No startups. With dental business financing from Business Lending Authority, you’ll have access to the cash you need to not only run your dental practice but also make it grow. Think about your top competitors and how they got ahead in the dental field. The saying “you have to spend money to make money” rings true for dental practices, as the best equipment, well-trained, professional dental staff and a comfortable, well-run dental office are key to attracting and maintaining clients. Most people are nervous the moment they set foot in a dental office, but with the right atmosphere, stellar customer service and excellent dental care, you can put them at ease. All this takes resources and planning though, so you can’t skimp on expenses. Apply today for dental financing from Business Lending Authority and make sure every step of the way is comfortable for your clients, and they – and their teeth – will thank you, and refer friends as well. At Business Lending Authority, we understand the financial demands of owning a dental practice, and we’re here to help with fast dental business financing. Forget the slow, often unavailable traditional unsecured small business loans that take months to apply for and all too often end in denial. 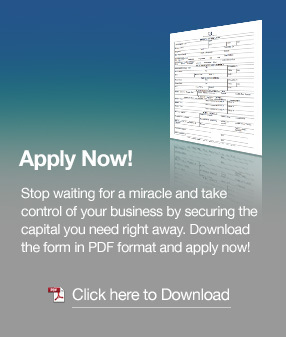 Just fill out the simple alternative small business loan application on the side of the page, and you could get from $1,000 to $1,000,000 wired into your bank account in just 48 hours. Unlike traditional unsecured small business loan sources, Business Lending Authority allows you to reapply for more dental business financing once you repay just 70 percent of your original cash advance. Banks and other lenders, on the other hand, require 95 to 100 percent loan repayment before you can reapply for a loan. And since their loan application processes take months, and often end in denial, your dental practice will severely suffer in the meantime. With Business Lending Authority’s fast approval process, you’ll never be caught in a lurch without the funds you need for emergency equipment replacement or repairs, and you’ll never be stuck in a ramshackle dental office because you can’t afford a better location or renovated interiors. Keep your clients smiling and coming back for more dental work with the best dental equipment, top-notch service and a comfortable, modern facility with Business Lending Authority’s dental business financing. Apply now and see the cash in your account in as little as two days.